Whitfield (Whit) Diffie is a giant in the crypto world. Whit sat down with Rubicon Labs for an extensive Q&A interview that we publish as the mammoth RSA Conference gets underway this week in San Francisco. 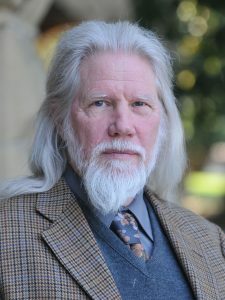 The interview also coincides with the 40th anniversary of the publication of “New Directions in Cryptography.” The paper, co-authored by Diffie and Martin E. Hellman, laid the groundwork for public key cryptography, set the stage for the broad adoption of the internet and made e-commerce not only possible, but safe. The pair were named 2015 winners of the prestigious Turing Award, widely considered the Nobel Prize of Computing. In part one of this two-part edited Q&A, Whit weighs in on the privacy risks in an unprotected IoT world, tells why it’s better to build a bank vault than hire a guard service, why using GPS to track truck drivers is an invasion of their privacy and shares why he doesn’t own a Nest thermostat. Part two of the Q&A will be published tomorrow. At the 2017 RSA show there will be a lot of attention focused on products that detect intrusions and malware. Are these good investments in your view? If the amount of money spent on antimalware were spent on something else, it would be better. The malware industry depends on the problem not being solved. Protecting against malware is like hiring guard services to protect something valuable. Are you saying that more investment should be put into secure software rather than into detecting flaws in the fingerprints of malware? Yes. That is what works with crypto and it also works with bank vaults. Almost nobody gets into bank vaults. But, the software industry wants to run incredibly fast. Back when you co-created public key cryptography in the 1970s, did you in your wildest dreams ever imagine state-sponsored cyberattacks, ransomware or the Mirai viruses of today? That was simply not a direction for crypto that I thought about in the 1970s. I knew about breaking into systems, but I didn’t so much think about system security as much as crypto security. My goal at the time was to secure the North American phone system because my collaborator Martin Hellman and I lived in North America, there were 100 million landline phones, lots of people, and there was just a sense of scale that we could achieve. With the explosive growth of IoT devices, what are your biggest concerns? My biggest concern is probably what is going to be built in an IoT device to snoop on everybody. So you’re worried about “Big Brother” in your kitchen or living room? I’ve believed for decades that human freedom cannot stand the decline in human communications. And I think this is just another sign of it. Truck drivers had a very independent job a generation ago. And now they are being watched by GPS all of the time. A generation ago, loosely speaking, a truck driver’s boss would say, “Here we are in Maine, get this to San Diego in a week.” And they wouldn’t know or even much care if he stopped to pick up some other stuff and went a little out of the way to take it to somebody. And, presumably now that is essentially impossible because they know where the drivers are every second. This is sort of an attack on privacy. Let me give an example on the other end of the spectrum. In the year 1800, the president would assign military generals and say, “Go take care of this problem,” and a year later he would either reward them or court martial them. The notion that the president — or in this case a company — is entitled to immediate control is one of the greatest security threats to the United States because presidents have a vison but not direct knowledge of a given situation. Should people really be connecting all of these IoT devices in their homes or, would you say, the best thing to do is airwall gap your house so you have as few connections as possible? You probably really don’t have a choice about it. I’m not sure you can fight these things, depending on how you can isolate your house. The truth is you may want to talk to the web and see the TV, etc. Look at Nest as an example, people want their thermostats viewed. They want to look over and see how the house is doing or turn up the heat because they are coming home from somewhere. So would the father of crypto have a Nest in his house, and would you be concerned about privacy with smart thermostats? I considered getting a Nest, but not for its communications features. No, the last time a thermostat broke, I went down to the hardware store and there was one on sale for $25. I didn’t buy a Nest because I needed a new thermostat and there was one that cost a 1/10 as much. Should the burden be on the manufacturer to provide security for IoT devices? Well I’m sure it should, but that doesn’t mean anything. In the first place, the basic principal of the world is that the more power you have, the more responsibility you have. But, the fact of the world is that the more power you have the first thing you do is try to negotiate your way out of responsibility. All sorts of things — including companies — that are tremendously powerful, in fact, in the end have very little responsibility. Why do you think there are so many problems with securing IoT devices? Most people think they can build something and then secure it later. It is obvious why they think that, because it is hard enough as it is to build it without security in it. So to tie your hands by insisting that it be secure at every stage of the operation will mean that someone else will beat you to market. Microsoft is the perfect example. That seems to be a basic problem of how we develop things fast and sacrifice the quality of the software. What are your thoughts on hacking cars via over-the-air software updates? Why you should be able to update it over the air or by radio is not clear to me. It is clear why it gets them into security problems.